Africa has already earned the dubious distinction of being the dump yard for world's hazardous waste. A new report reveals that the continent has become a dump yard for toxic fuels that are “too dirty” for European standards. 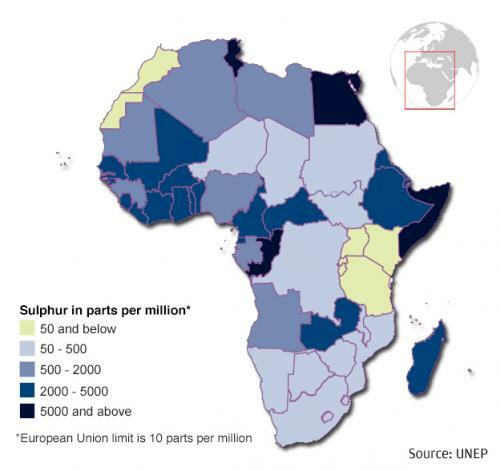 According to the study by Public Eye, a Swiss watchdog, global energy and commodity trading companies are exporting highly polluting "African Quality" fuels with sulphur levels hundred times higher than European limits. Exploiting weak fuel quality standards in African countries, especially in the western part of the continent, these companies are deliberately lowering the quality of fuels to increase profit margin at the expense of Africans' health. When the fuel is burnt, the sulphur and other compounds are released into the atmosphere, contributing to respiratory diseases like bronchitis and asthma. The high-sulphur fuels also destroy emission-reducing technologies in vehicles. The sensors and filters in cars get damaged and they start belching smoke. The companies such as Oryx, Trafigura and Vitol often own refineries and gas stations across West Africa. Nigeria, which allows 3,000 PPM of sulphur in diesel and 1,000 PPM in petrol, imports most of its fuel from these companies. 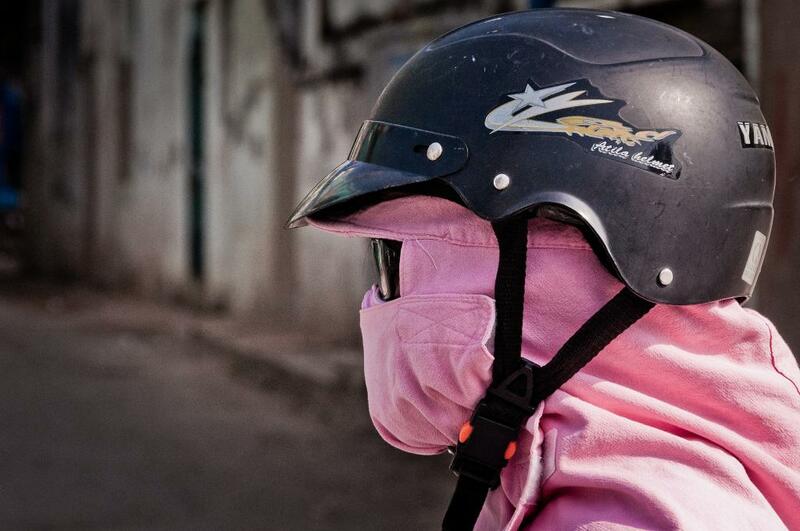 This is despite the fact that it is one of the major oil producers like Angola. Since they have limited refining capacity, their oil is sold as crude on the international market. That’s why they import fuel products that have been refined abroad. 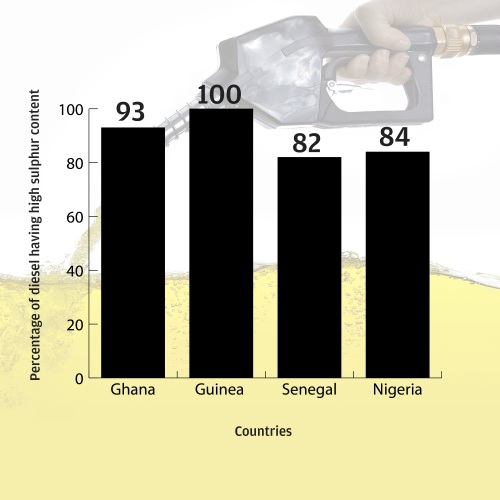 In fact, West Africa has to import roughly half of its diesel and gasoline, which are high in sulphur, mostly from Europe and the US. Around 50 per cent of the fuel imported to West Africa comes from Amsterdam, Rotterdam and Antwerp. About 80 per cent of the diesel exported from these regions has sulphur content at least 100 times higher than the European standard. By exporting such fuels to Africa, the traders are contributing to increased outdoor air pollution and premature death in the continent. What explains the difference in fuel quality standards between two continents? It is only recently that most African countries felt the need to revise colonial-era standards. Moreover, despite having refineries, some countries are unable to reduce the sulphur levels to the standard acceptable in Europe due to technical challenges. Hence, the regulatory standards are kept at the level that the refineries can operate at. There’s also a concern among governments about the cleaner diesel becoming a more expensive alternative, pushing up the transport cost. But the report says that the fear is unfounded since East Africa has taken steps to limit sulphur content without having any impact on prices. What is cheap for some is hazardous to others. The companies trading in low-quality fuel depend on refineries and other industries that can supply low quality blendstocks or intermediate products as fuel ingredients. They pose additional threats when blended into fuels since they need further treatment to eliminate hazardous substances. But for traders, these blendstocks are cheap and can be used to produce ‘African Quality’ fuels. It is to be noted that most refineries don’t produce directly usable diesel that does not need to be blended. Instead, they produce intermediate products that are mixed together to meet certain technical specifications. The commercial motive behind blending is to maximise overall profit by sourcing cheapest possible blendstocks and producing a fuel that is acceptable to African markets.